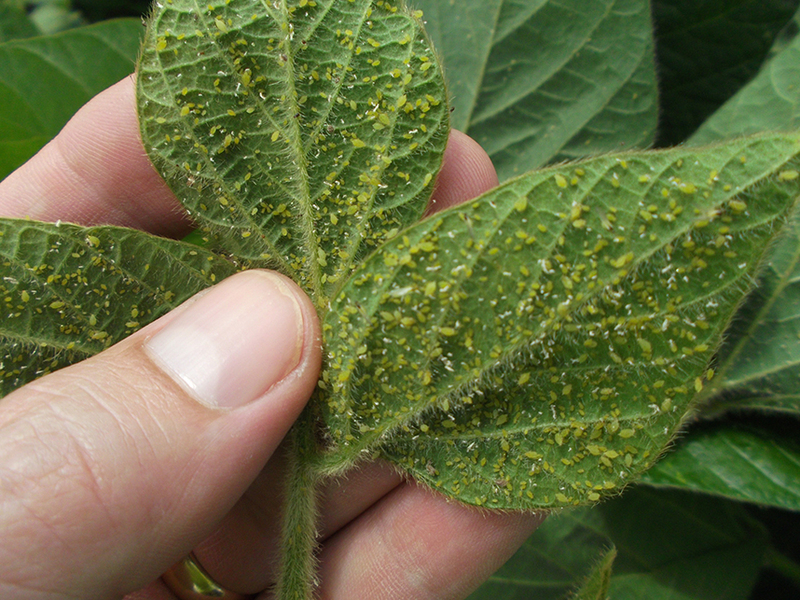 Soybeans aphids from today, July 30. Click to enlarge. Soybean Aphids found in Waushara county today. Please check your soybean fields every 3 to 5 days to make sure you don’t have a population that is building. Let us know if you need any help looking for this pest. This entry was posted in Agronomy, Pest Control and tagged agronomy, allied cooperative, pest control, soybean aphids, soybeans. Bookmark the permalink.